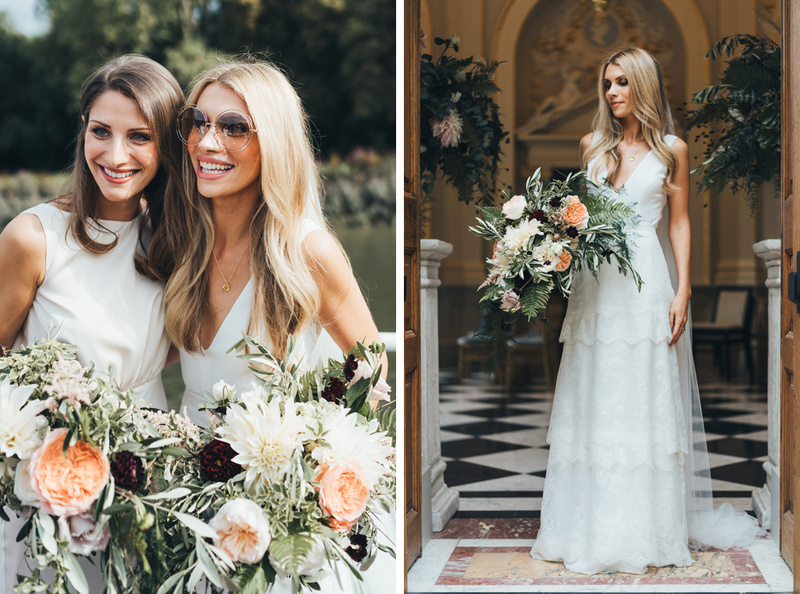 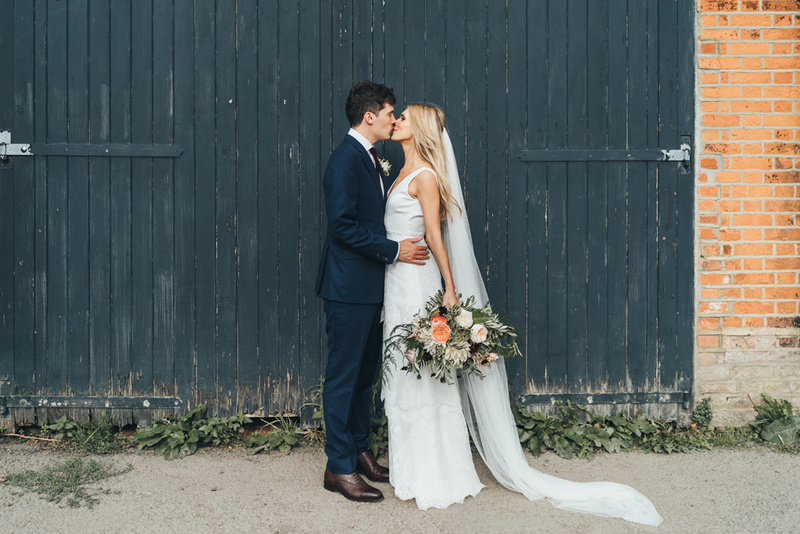 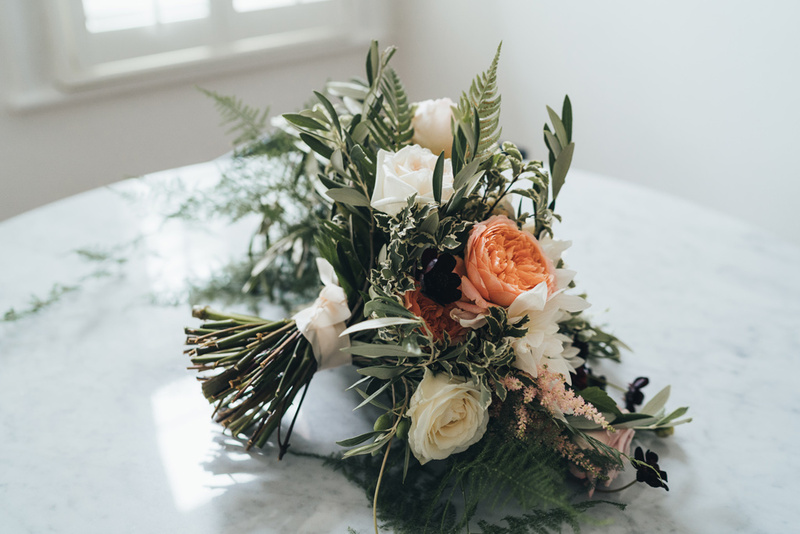 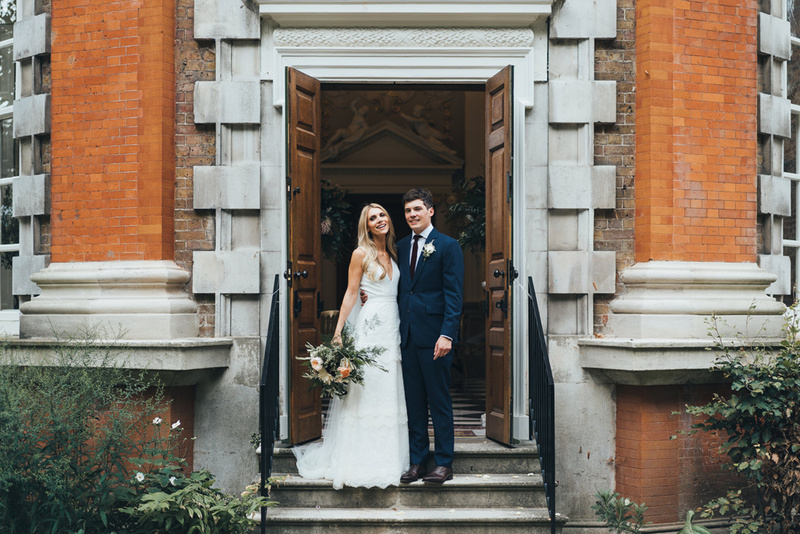 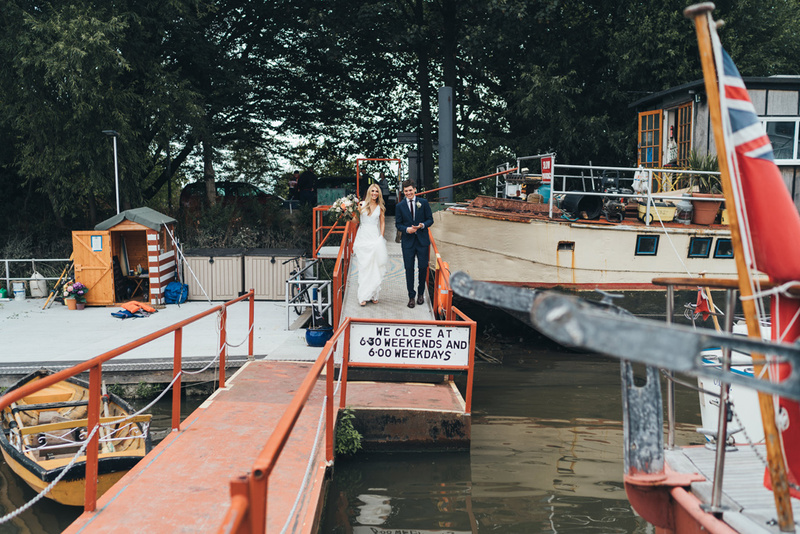 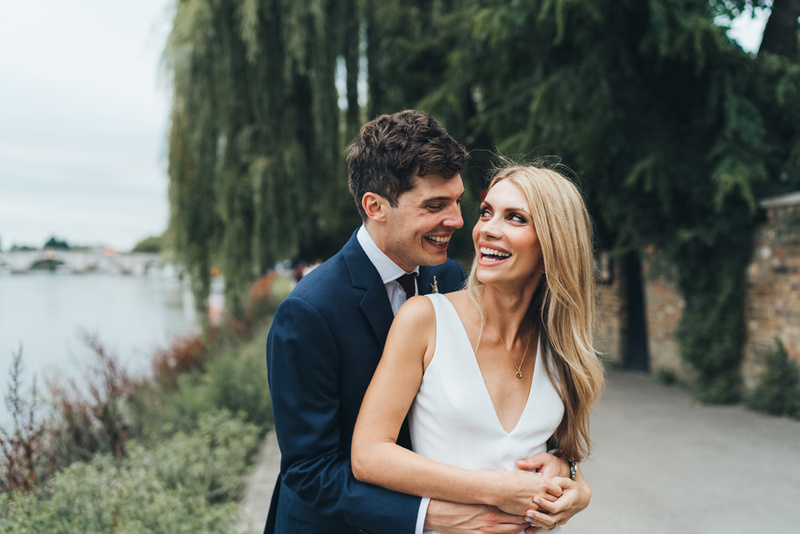 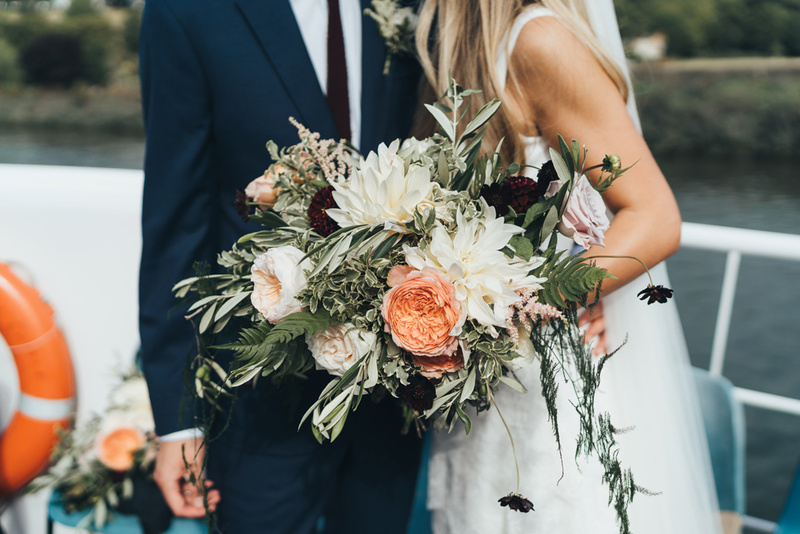 Isabel & Matt planned a local London wedding, celebrating with friends & family in Richmond – an area that is special to them & where they had some of their first dates. 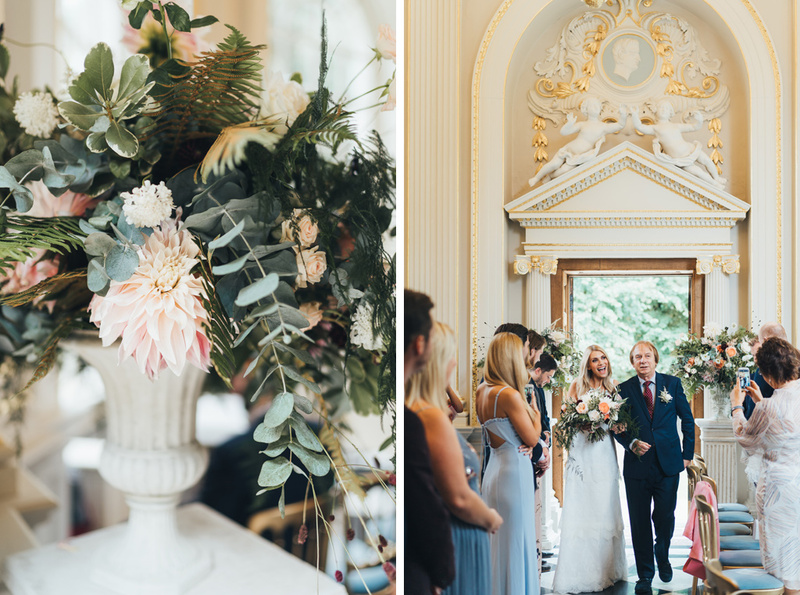 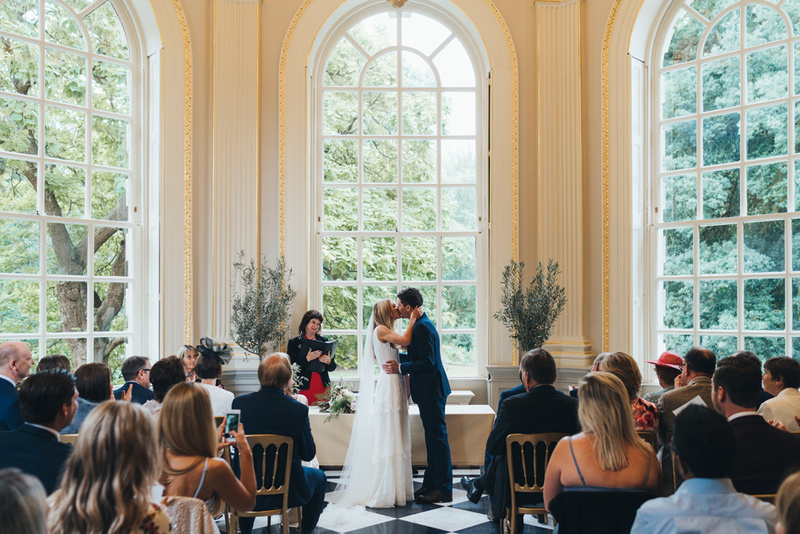 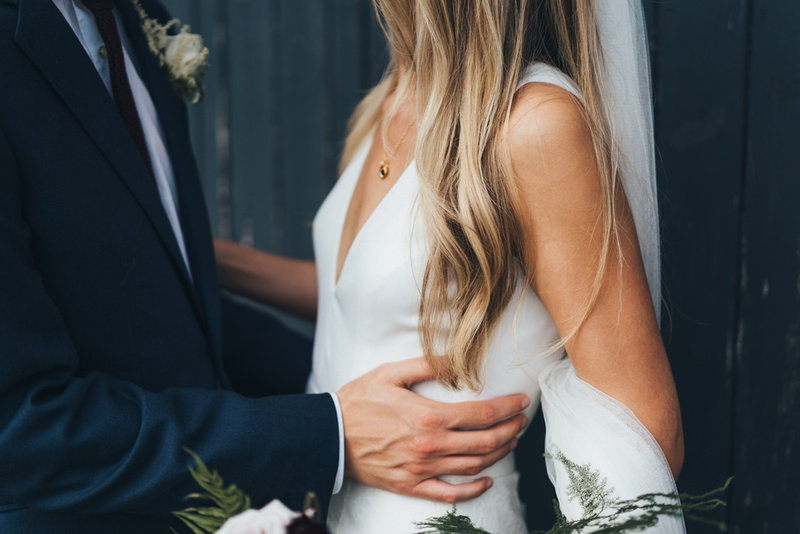 Their day started with a ceremony at the beautiful Orleans House Gallery in the Octagon Room, a stunning space with Baroque gold detailing on the walls & ceiling. 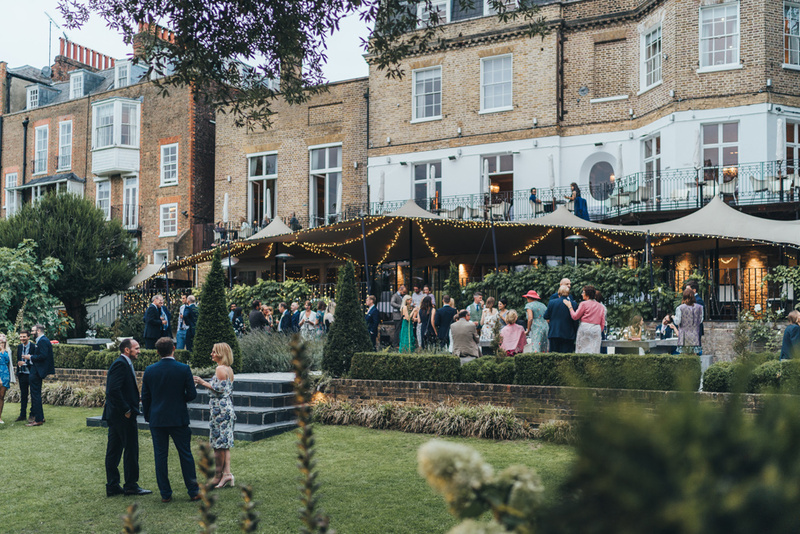 They then took their guests on a champagne river cruise, before alighting in Richmond for their bbq reception in the garden at The Bingham. 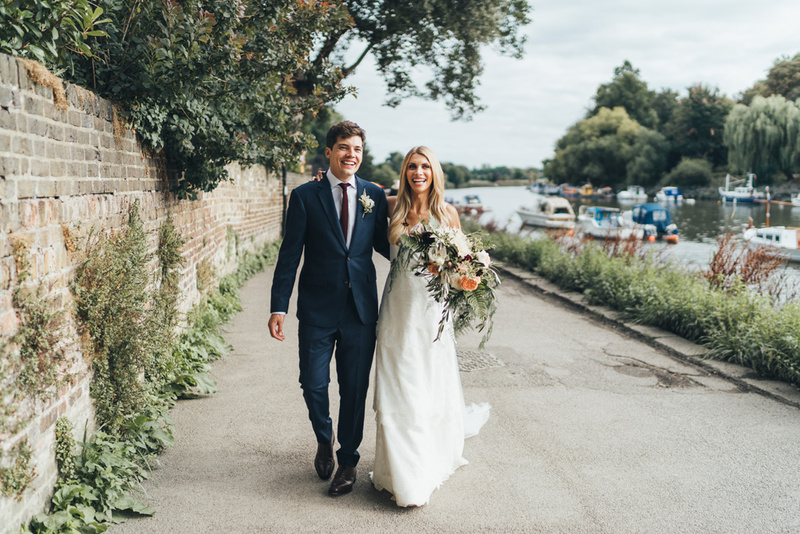 We went for a stroll along the river for some relaxed couples portraits & enjoyed the lovely summer evening. 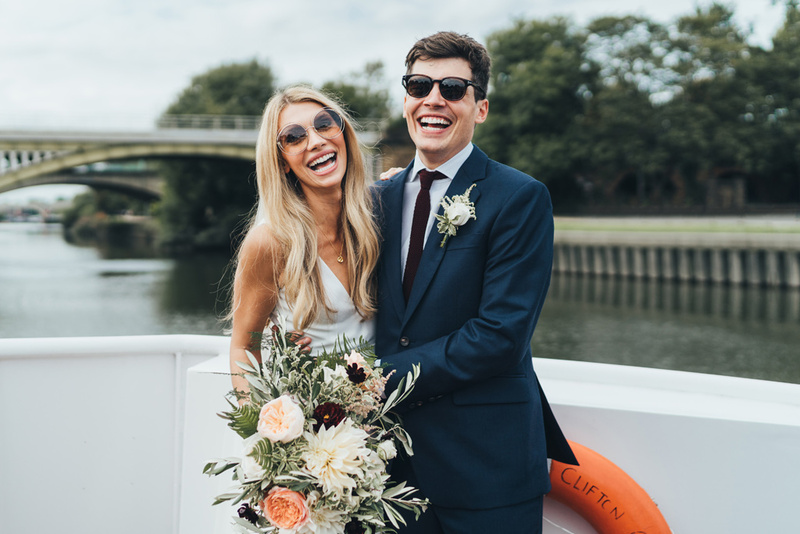 Isabel looked gorgeous in an effortlessly chic boho dress by Charlie Brear & those amazing Chloe sunnies! 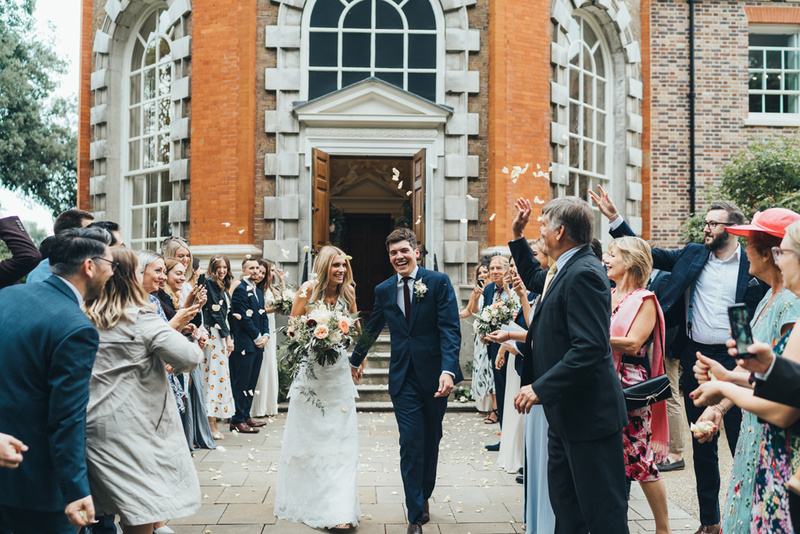 Here are a few previews from Isabel & Matt’s informal, garden party wedding at Orleans House Gallery & The Bingham in Richmond, London.